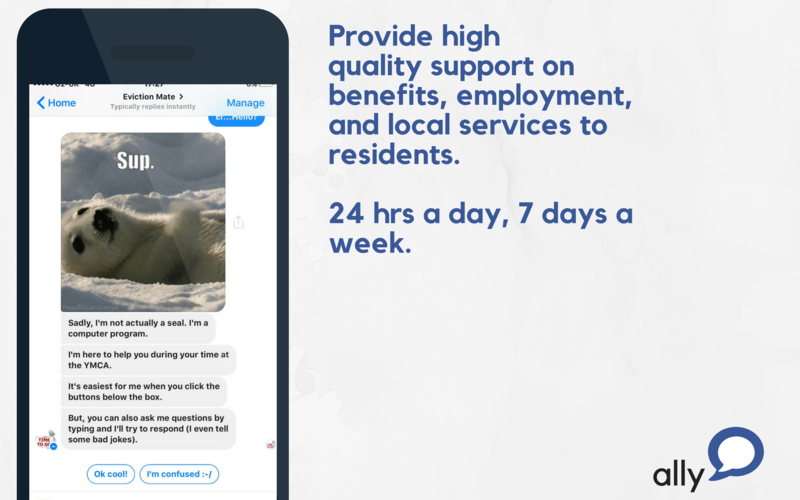 Ally Chatbot is a tool that helps housing associations, councils and charities to provide scalable, 24 hour support to all of their residents instantly. A Chatbot is software that replicates real-life conversation to deliver information to users and Ally uses playful language and engaging content to relay information in an accessible way, 24 hours a day. Sustaining tenancies: By using Ally, housing associations can mitigate the risk of their tenants falling into arrears and being evicted. Ally can support residents to maximise income through benefit advice, debt write-off, and helping people into employment. Focus on the complex: By freeing up precious staff time, Ally allows staff to spend more of their day focusing on complex issues. In this way, the housing sector can ensure it is providing the optimum level of support to its residents. The founders would love to pilot this project within your organisation and demonstrate its value. Please get in contact to learn more, arrange a demo or to discuss a pilot. 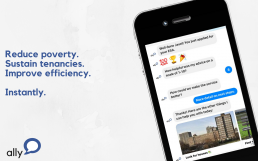 Chatbots are an emerging technology that we at HACT are backing to be amongst the breakthrough technologies of next year. Ally is one of the first companies building chatbots specifically for housing and the team’s experience across technology, legal and frontline work gives them a brilliant insight into building software that organisations need and users want to interact with. 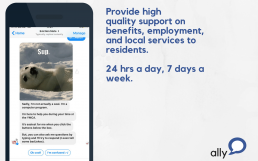 Ally lets the housing sector do more with scarce resources, using chat and automation to free up staff time to deal with more complex challenges. 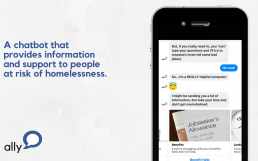 Right now Ally Chatbot are working with a number of housing providers to build bots to meet their needs – if you are interested in what bots can deliver for your organisation get in touch.